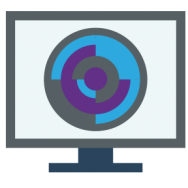 License Dashboard develops a number of core SAM technologies, all of which are available as on-premise and cloud based solutions, with perpetual and subscription licensing options. 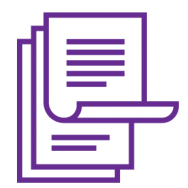 We’re proud to offer a full software asset management product portfolio, which can be tailored to meet your organization’s exact requirements. 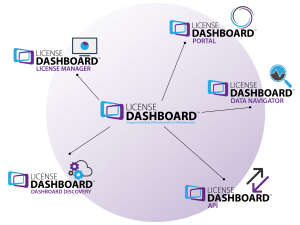 License Dashboard’s flagship license management tool is used to manage and optimize software licensing. This is achieved by automatically reconciling what has been installed, what is in use and what licenses have been purchased. 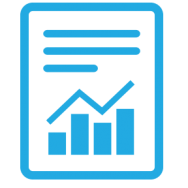 Since 2004, License Manager has been helping organizations optimize their investments and prevent costly compliance failures. Designed to complement your existing ITAM solutions, License Manager is highly cost-effective and delivers rapid ROI. Discover exactly what software has been installed across your network and receive details on how that software is being used. A lightweight, rapid network inventory solution designed to capture both hardware and software consumption critical to improving software and license management. Dashboard Discovery can be run in both client agent and agent-less modes. An intuitive BI application designed to allow departments outside of the SAM team view and understand IT asset management data. Vital for procurement teams, the wider IT department and any job role that relies on complete and up to date IT data. Share critical ITAM information across the organization through customized dashboards made relevant to each stakeholder. License Dashboard Portal works across any device and provides the user with the vital SAM information they need to see to help make strategic decisions. License Dashboard’s standard API application allows the rich ITAM data stored in License Dashboard to be pushed into other applications, such as ServiceNow. Process large volumes of data from your multiple inventory solutions at scheduled times to suit you. Not only does Data Navigator collect this information, it enriches the data which can be imported into License Manager, or any SAM/ITSM Tool, as regularly as needed.